The building itself is complete. However, much remains to be done inside. Help us raise the needed funds by purchasing theatre seat sponsorships. For $150, your inscription will be placed on a nameplate secured to the back of a seat; a $500 “Founders Seat” will get a nameplate, plus that seat will be yours for any SSHS event you attend! Forms are available in the SSHS main office. Please make your check out to PACT. Thank you! 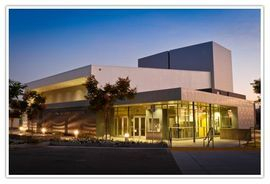 Support the arts programs at Santa Susana by becoming a member of the Performing Arts Boosters (SSPAB). The $30 membership will include you in all communications about the programs, performances and participation opportunities. You'll have early access to purchase tickets before the general public (whenever possible) and get your choice of the best seats in the house. Discounts will be offered on each matinee ticket purchased or one evening ticket if no matinee is available. Another great reason to become a Performing Arts Booster are the wonderful scholarship opportunities for your performing arts student. Simply be a paid Booster member for two years and your Performing Arts student can be considered for a SSPAB scholarship, provided your student has met all their requirements. Joining online is a simple two-step process. 1. Download and email the membership form to sspabinfo@gmail.com 2. Click the "Make a Donation" button below and send us the money through PayPal. We will apply the payment to the proper membership form received. MAIL: Make checks payable to "SSPAB". Please write “Booster Membership” and/or “Donation” in the memo area of your check. Mail to: SSPAB, 3570 Cochran Street, Simi Valley, CA 93063. Drop off in the office of Santa Susana High School; follow same procedures above. *Forms can also be obtained in the office. If you are feeling generous feel free to use our other donate button and fill in the amount you want to donate. If you are already a member we will apply that to the general fund unless otherwise stated in the notation field. If you are not a member we will put $30 toward your membership and the remainder wherever you want. Do you have an idea for Boosters to raise money to support our students and teachers?